Exclusive: President Trump fancies himself a crafty, zigzagging negotiator, but his pride in his bellicose unpredictability has brought the North Korean crisis to the edge of a horrific calamity, as Jonathan Marshall explains. 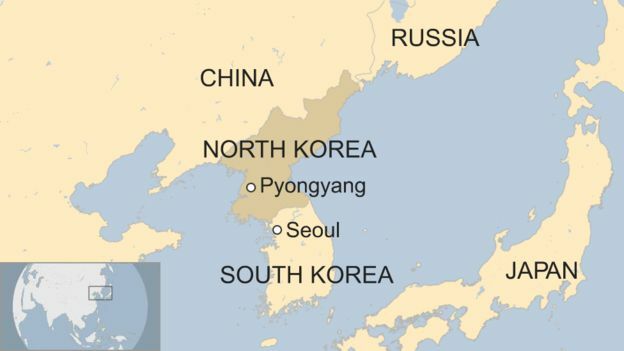 Map showing North Korea’s proximity to Japan, South Korea and China. On the other hand, the fact that South Korea sent seven warships in mid-November to join three U.S. aircraft carriers for war games off the coast of the Korean Peninsula almost seemed calculated to keep Pyongyang away from the bargaining table. U.S. and South Korean plans to start a massive five-day air force exercise on Dec. 4 will doubtless do the same. And the Trump administration’s recent designation of North Korea as a state sponsor of terrorism only reinforced Pyongyang’s suspicion that “the United States is not serious about negotiations,” in the words of one former Korea expert at the State Department.